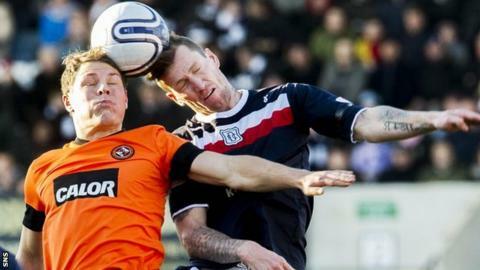 Dundee will host neighbours Dundee United after the Scottish Cup quarter-final draw produced a city derby. And who won the recent Scottish League Cup meeting of the clubs. A First Division side is guaranteed to make the semi-final after Hamilton and Falkirk were paired together. The other tie is an all-Scottish Premier League affair with Kilmarnock hosting last season's runners-up Hibs. With all eight fifth-round ties decided across the weekend, were first out of the pot. while and beat Morton and Rangers, respectively.